I was surprised last week when my September 2016 Lookfantastic beauty box arrived, (it is a monthly subscription box which costs £15 per month (inc p&p) or from £11.25 for a 12 month subscription), as had decided to cancel my subscription for a while – see my review of last months box here – however when I checked Lookfantastic had taken this months payment even though I cancelled in time not to be invoiced for this months box – have emailed and I am still waiting for a response – intend to follow up this week. 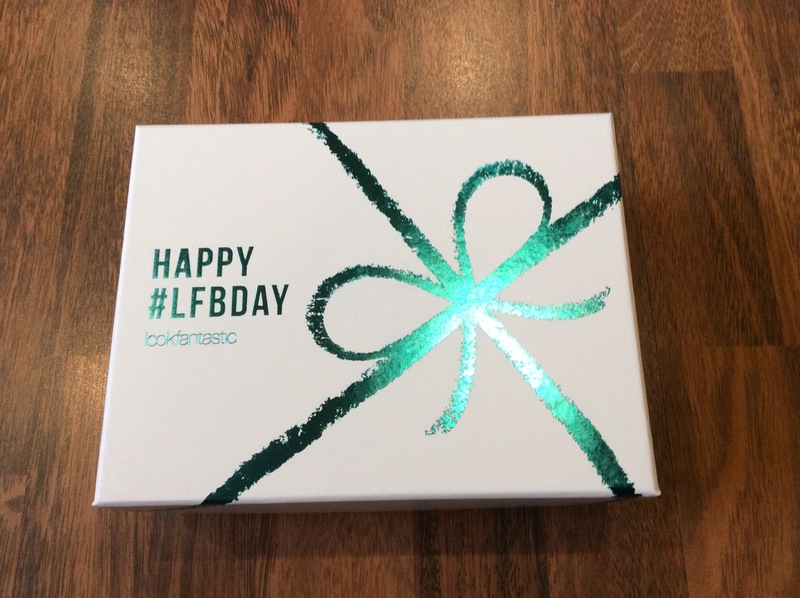 This is LFBeautybox’s 2nd birthday so Lookfantastic stated they have included everything you need to get yourself glammed up and ready to celebrate with them. A Lord & Berry Strobing / Luminizer Pencil – 0.7g (travel size) – Different one than is included in magazine but card included to explain with a 20% discount code LB20 which can be used off Lord & Berry products. V good value this month and more impressed with the products included this month, happy to see three makeup items included this month, so not as annoyed now about been charged for this months box and looking forward to trying all the products. However still would have expected a bit more as this is their birthday box, could have included a full size item, also disappointed that a copy of the September 2016 Elle magazine was not included and that I still have not received a response from Lookfantastic. Even though I am more impressed with this months box – still going to cancel as just too many beauty boxes at the moment and this one does not excite me as much as the others I am currently subscribed too – however will consider subscribing again in the future and still would recommend you checking it out as still v good value for money and also if you prefer receiving more skincare than makeup items.